A solid meatloaf is often the cure for anything that ails you, especially since they’re a quick & easy dinner, even on a budget. This one is stuffed with a rich, creamy macaroni & cheese, and topped with a slightly sweet & savory sauce. 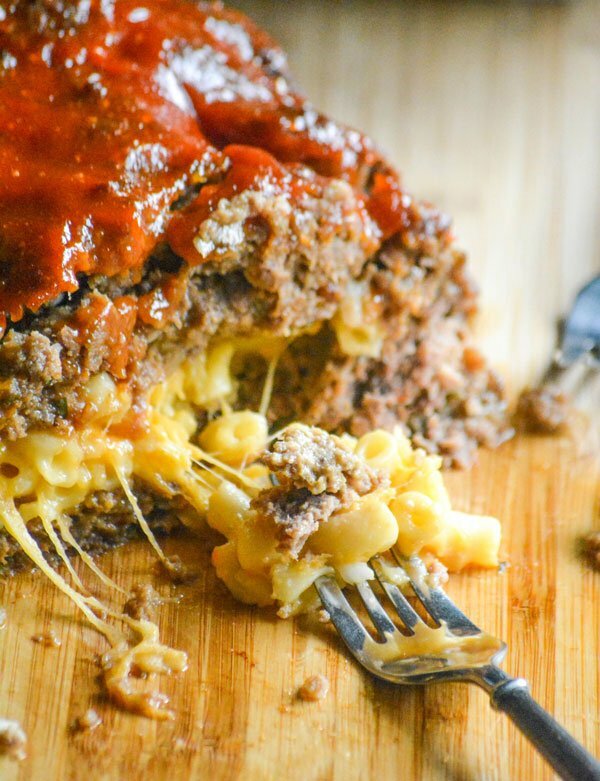 This Mac & Cheese Stuffed Honey Barbecue Meatloaf is ready in an hour, and the answer to any and all dinner dilemmas where comfort food is a must. Pasta salad is one of the most easily adaptable side dishes out there, both the ingredients and to any occasion. 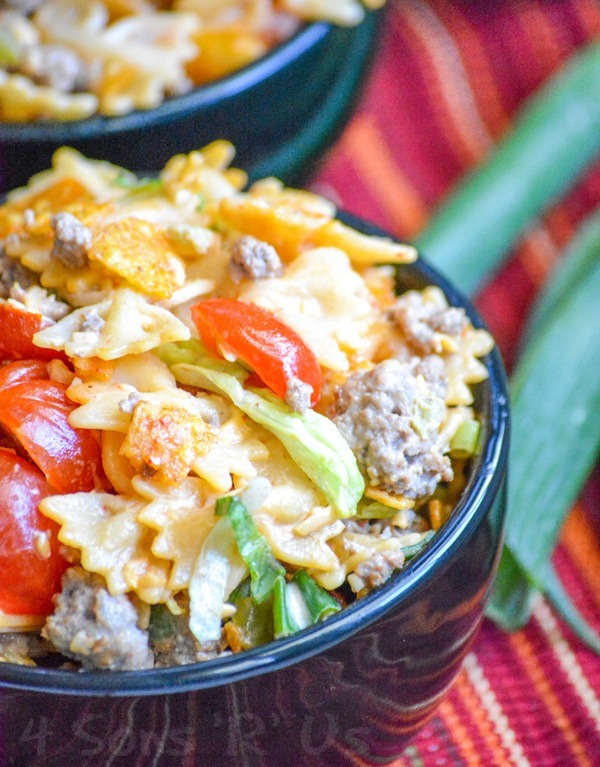 Step up your pasta salad game with this creamy Crunchy Doritos Taco Pasta Salad. Featuring seasoned ground beef, crushed Doritos, and fresh veggies tossed in a creamy dressing- it’s a real family & potluck pleaser. 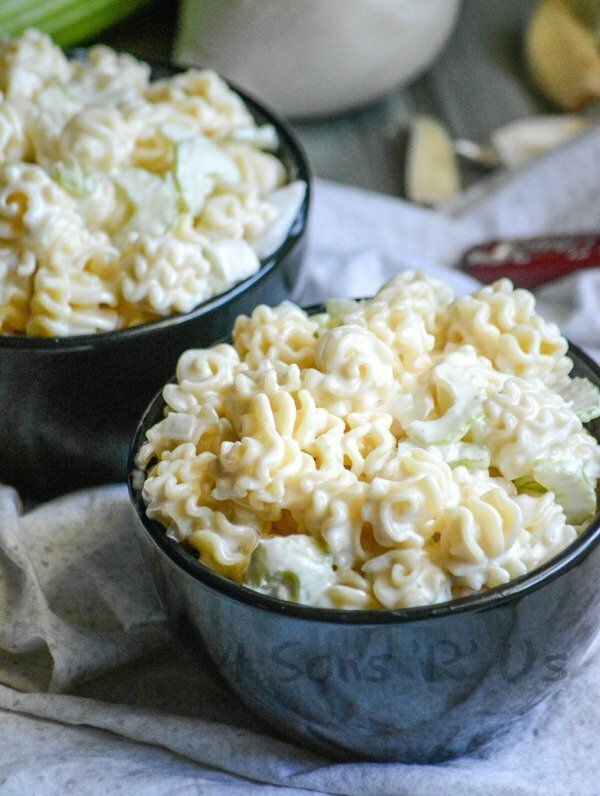 Rich and creamy, with a surprisingly sweet and yummy sauce– Aunt Gert’s Sweet Macaroni Salad is the recipe you want to have on hand for Spring picnics and Summer barbecues. Creamy Tuna Noodle Casserole–Served Hot or Cold! 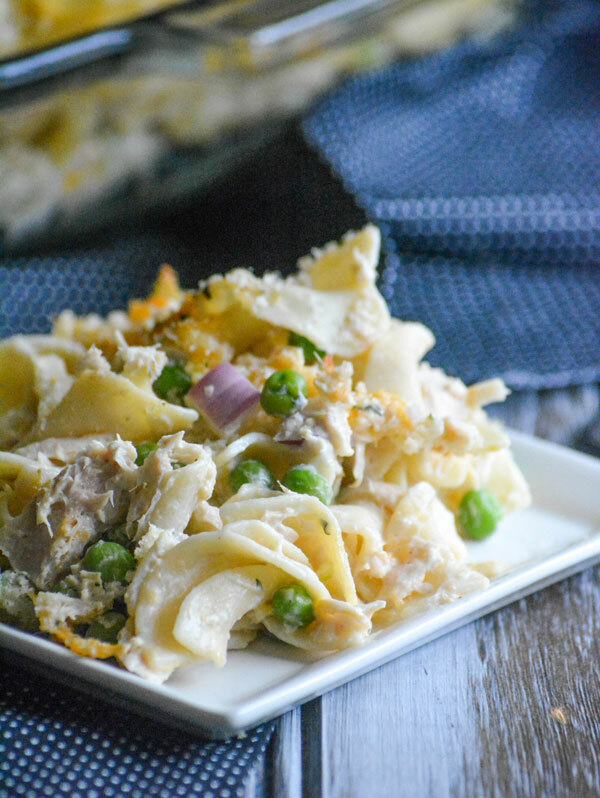 Sometimes I want a lightened up casserole, that’s still hearty- which is where this Creamy Tuna Noodle Casserole comes in. Served hot or cold, it’s an easy dinner the whole family looks forward to that can also serves a crowd.